An ambitious model of Durham Cathedral – built entirely out of Lego – is now complete. The sculpture took three years and contains an incredible 300,000 bricks. 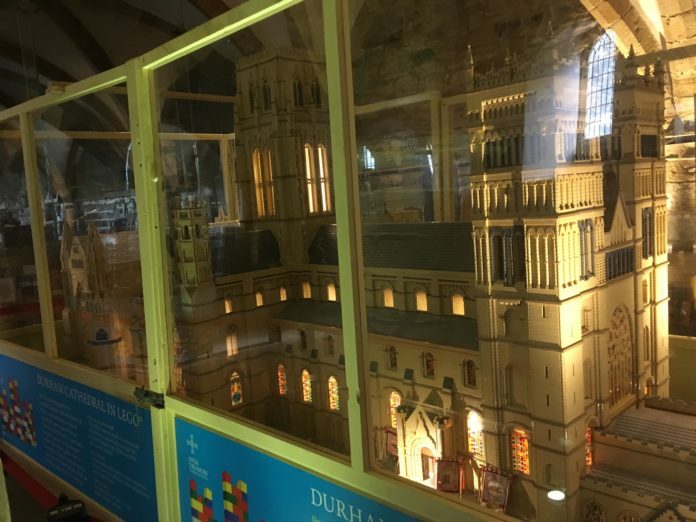 Members of the public have been encouraged to add bricks to it on visits to the real Durham Cathedral, where the model is housed, and the Lego cathedral currently holds the record for the largest Lego model built by ordinary people. It has a length of 3.84 metres, a width of 1.53 metres and a height of 1.7 metres. An accurate scale model of the real building, it includes altars, crosses, arched windows, gargoyles and stained glass. The last brick was laid by Pearl Richardson, a seven-year-old from Newcastle. Pearl, whose father works as a stone mason at the Cathedral, has laid bricks along with her brother on previous trips, but she won the prestigious chance to lay the final one by way of a prize draw. The brick she put in place represents the Cathedral’s well-known Sanctuary Knocker, which used to grant the right of asylum to anyone who touched it. The model’s first brick was laid by the historian and TV personality Jonathon Foyle. 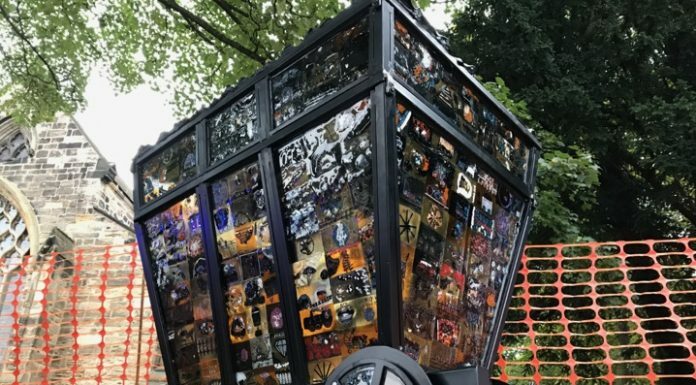 The building of the model started in July 2013, with the purpose of helping to fund the Cathedral’s world-class Open Treasure exhibition, which opened on 23rd July this year. Members of the public paid one pound to add one brick. Local businesses and community groups also helped the Cathedral by pledging to build segments of the model. The Lego sculpture has raised £300,000 towards Open Treasure’s £10.9 million cost.